Come October this year all the buses and trucks in India will have to be fitted with speed governors, a move by Govt. 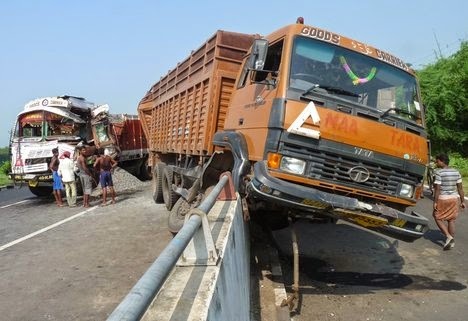 of India aiming to eliminate the problem of overspeeding of heavy vehicles. The seep governors will limit the commercial vehicles to a top speed of 80 Kmph. Currently in India the maximum speed for commercial vehicles on highways is 80 Kmph which will now be achieved by introducing speed governors in them. However this rule does not apply to other category of vehicles such as 2 wheelers, passenger cars that carry less than 9 people, ambulance, fire engines, police vehicles etc. This new rule will be featured in an amended Central Motor Vehicles Rules, 1989 (CMVR). As per the rule, every new transport vehicle that is made from October 1, 2014 should have the speed limiter installed either during its manufacturing process or at the dealership level. For vehicles manufactured before October 1 state governments with be left to decide the course of action. Some state governments already have speed governors installed in certain categories of vehicles such as school buses and tankers.